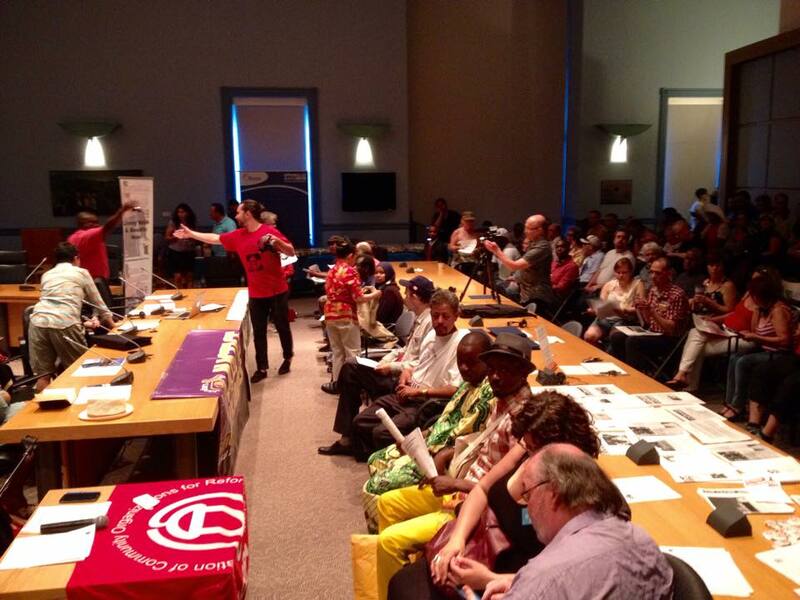 Members of SEIU Local 2 and Ottawa ACORN held a Living Wage Forum: Invisible No More on Saturday June 20 at City Hall. With praise and support from our guests such as the Canadian Centre for Policy Alternatives (CCPA) Ontario speaker Trish Hennessey, Philippine Migrant Society of Canada speaker Amiee Beboso, city councillor speaker Catherine McKenney, and speaker Nycole Turmel MP for Hull-Alymer, there was no doubt the campaign kicked off to a great start! With over 160 people in attendance, members launched the $15 living wage with benefits campaign for contract workers on federal property. 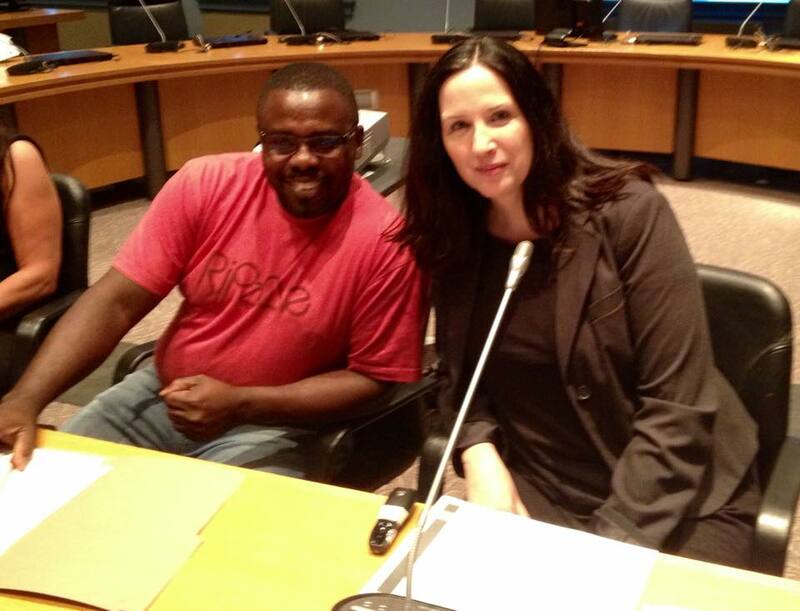 Justice for Janitors leaders (and ACORN members) Lyne Giard and Ramses Louis-Pierre spoke passionately about the campaign and the need for a living wage for cleaners. 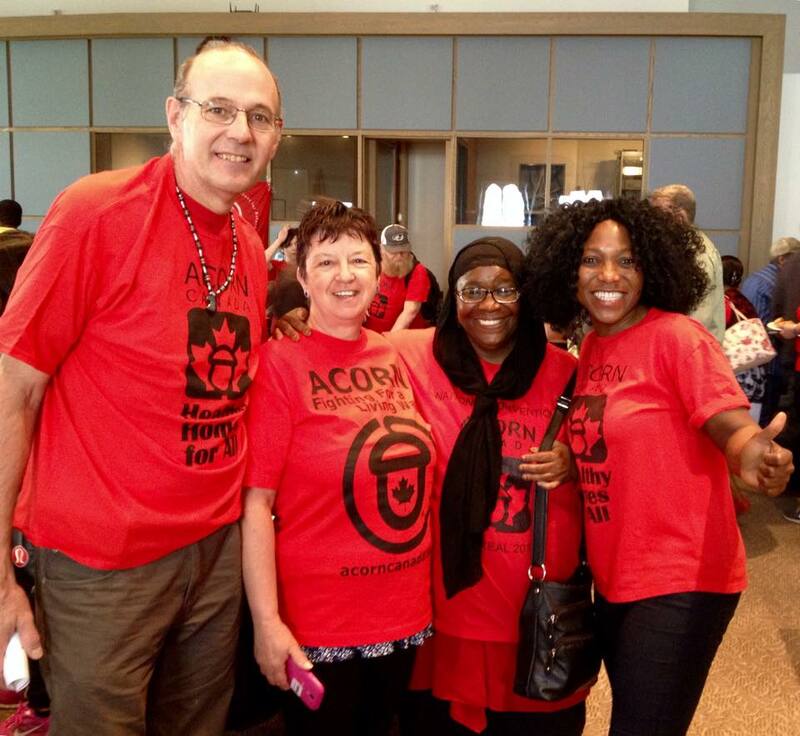 ACORN Member Michelle Walrond chaired the event, leading lively cheers and engaging members and supporters. 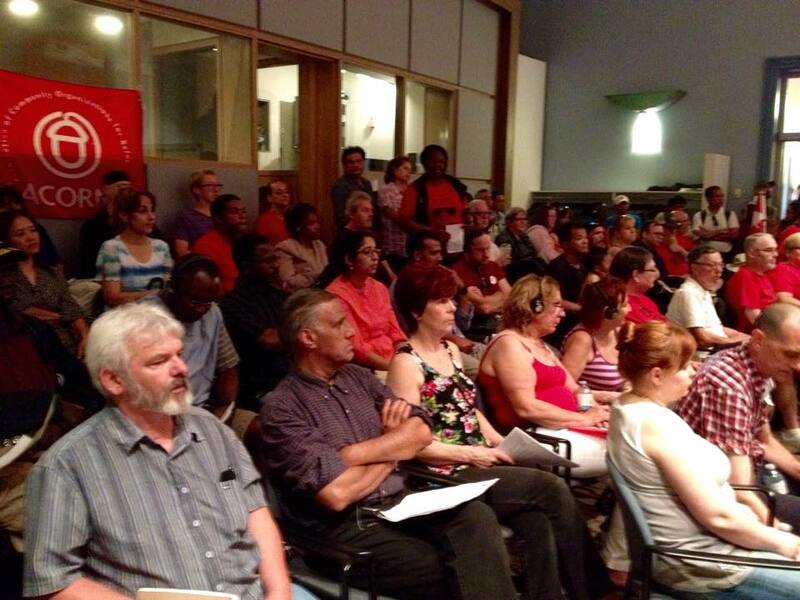 Other supporters in attendance included OPSEU, ODLC, PSAC NCR, CUPE, ETFO, and more!